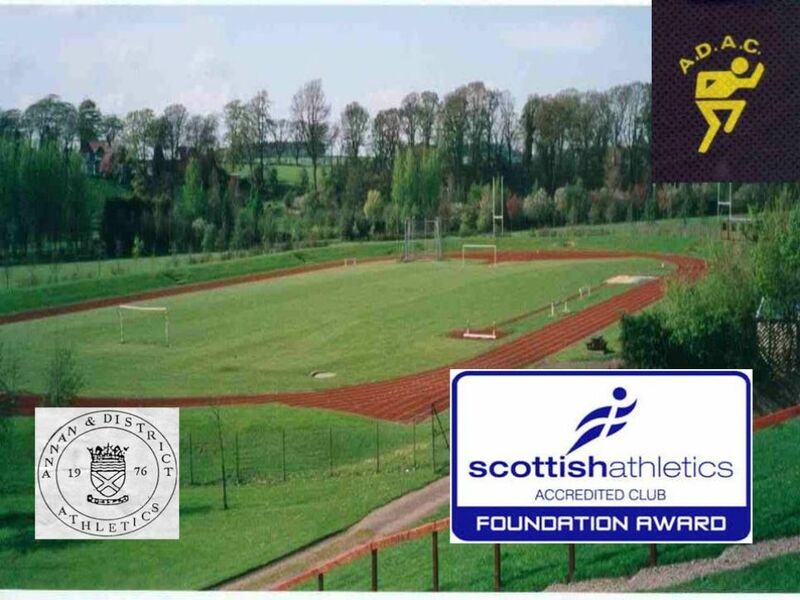 Annan and District Athletic Club | GORDON & LIZ take the Senior Summer league honours. GORDON & LIZ take the Senior Summer league honours. Congratulations to everyone who took part in this year's Senior Summer League Road Running Championship awards. Liz Dawson is getting back to her best with some excellent performances this year and has managed to secure top spot in the ladies' championship. A fantastic achievement ! It was a close run league this year with Marie Marshall pushing Liz all the way in 2nd place just 5pts behind. 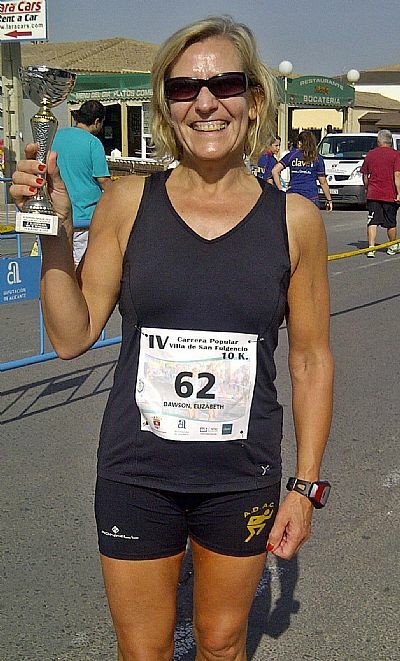 In 3rd place Janet Priestley had some fine performances throughout the year whilst Linda Cameron pushed her all the way just one point behind in 4th place and with Louise Hopper making the top 5 this year has been a very competitive season. In a fantastic effort Gordon Vivers managed to scoop both the Age Grade % and the Main Championship awards. 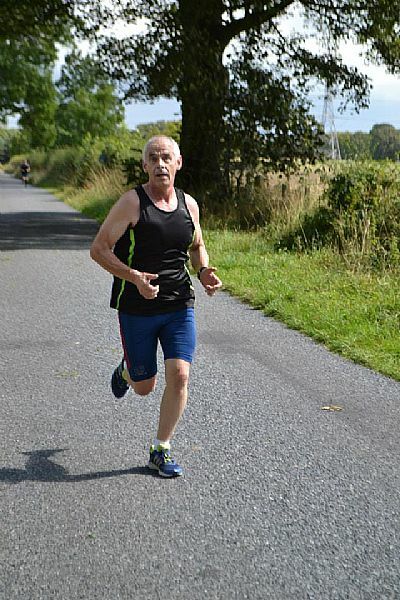 Gordon managed to secure both top placings by keeping injury free and completing ALL of the 16 events. This is a fantastic achievment. Gordon managed to stay injury free and kept racing throughout the season picking up bonus points for completing all events. In the main championship Joe Boardman was pushed into 2nd place whilst Norman Johnstone pushed Joe all the way in 3rd. Both Grant Seaton (4th) and Richard Smith (5th) have both had fine seasons securing Pb's and completing their own goals. In the Age grade championship Gordon again showed his form throughout the season and took the top spot with Liz Dawson just pipping Joe Boardman into 3rd. Norman Johnstone continues to impress with his 4th spot and Janet Priestley took 5th place overall. The full league tables can be viewed on our Summer league page by clicking HERE. A big thank you to all who competed,marshalled,timed, provided refreshments and cheered our Seniors on this year. The presentation evening will be held on 17th November. Details will be emailed to members. Well done again folks ! My Manchester MarathonIf you've never tried a Parkrun..............Peebles DuathlonThe Kong Mini MarathonFrom fat to fit - Ewan's story.